This battle was tough for me as I haven’t drank since December 2004. So I didn’t even know where to begin. I decide on Olde Faithful. This classic is so easy anyone can do it and your guest will be highly entertained. 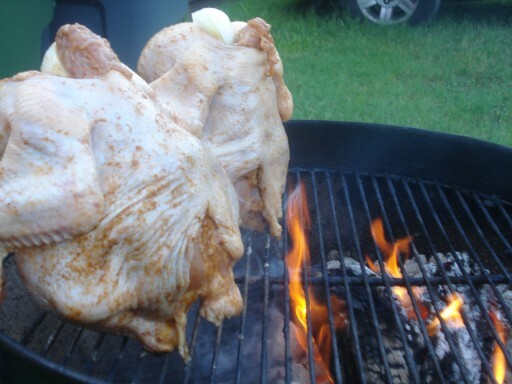 I started off with two small whole fryer chickens and rubbed them down with Louisiana Cajun seasoning, remembering to rub under the skin as well. 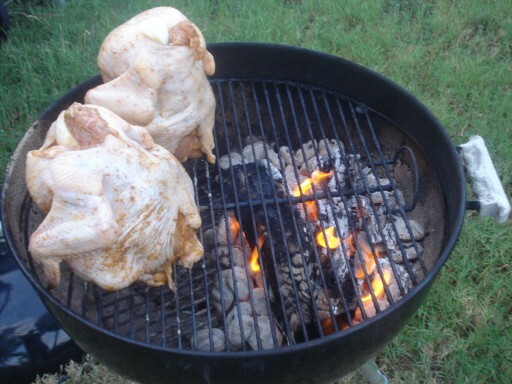 Then I injected the entire yard bird with creole butter, which just the name alone sounds so good “creole butter“. Then in a large bowl I mixed two light beers, which I got from my Nascar fan neighbor, with some more Louisiana Cajun seasoning. Then I poured the mix back into the empty beer cans. 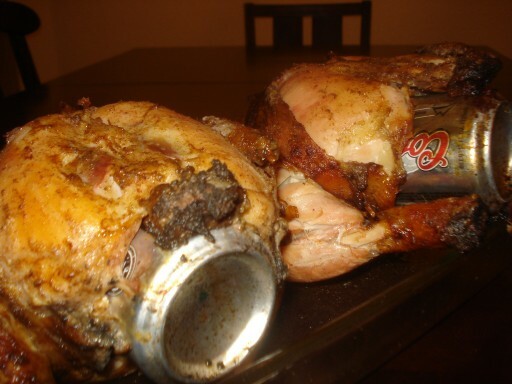 I then inserted the beer cans inside the chickens and onto the grill standing up. 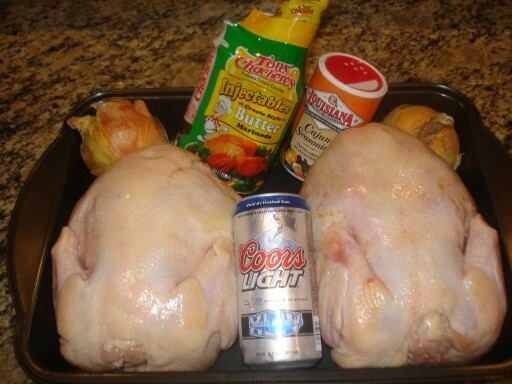 I added quarter onions to the top of the chicken to hold in the steam created by the beer cans. When the birds fall over on there sides you know these birds have had enough to drink. 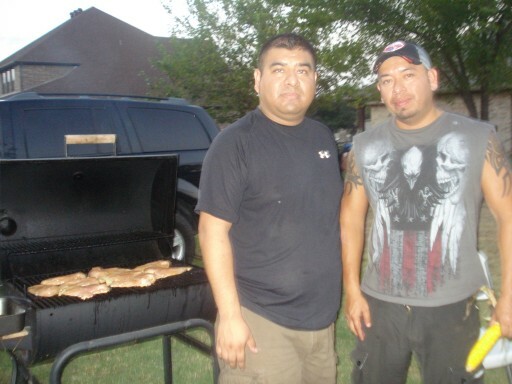 Smoking these birds with my grilling mentor and also my brother Val was so much fun. I hope you and your friends enjoy. HAHA this is amazing! You’re right, this would be entertaining to watch. I bet it tasted great too! Nice work.